Combines A Great Location With The Comfort & Service To Enjoy Your Stay On Grand Turk! 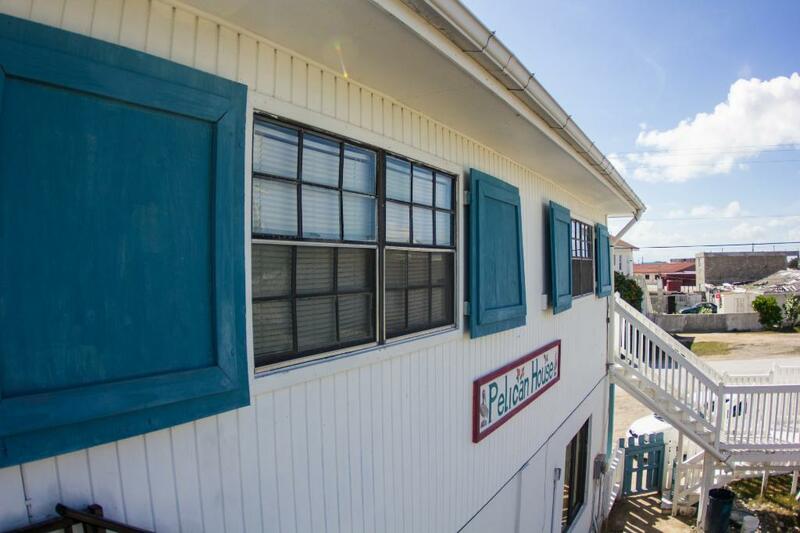 Pelican House is also conveniently located to all of the dive shops, bars, restaurants and a cafe with the best coffee on Island. Grocery stores, banks and government buildings are also just a few minutes away. It is centrally and ideally located on the west side of the island between the airport and Cockburn Town. In less than a minutes walk you are standing on one of Grand ​Turks many beautiful beaches. We offer you value based self catering spacious studio accommodations, one of which has an optional double bedroom with half bathroom to accommodate extra family and/or friends. 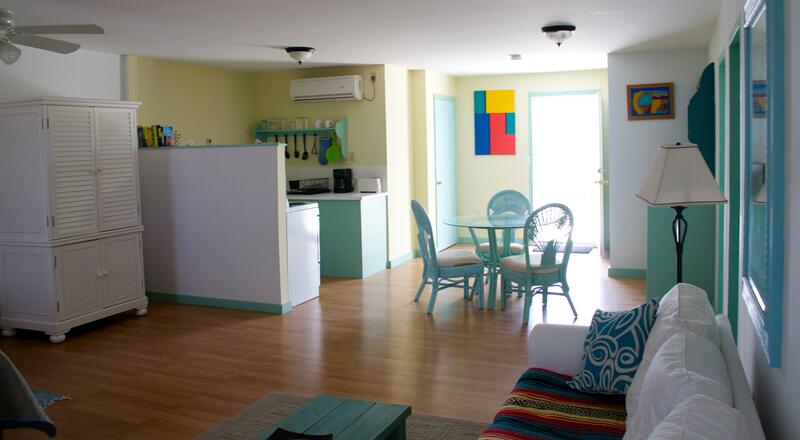 The studio rooms are spacious with queen beds, comfortable living and dining areas and fully equipped ​kitchens. Air conditioning, tv and free wi-fi are included. You can also enjoy the cool breeze and views across the town ponds from the outside porch area adjoining each studio. Come and Relax, Chill & Enjoy your stay. 100% refund will be given on your deposit if a cancellation is confirmed outside of 30 days. 50% refund is given on your deposit 8 - 30 days prior to arrival. 0% refund is given for cancellations made within 7 days of arrival date. If we can rebook the room then we we happily refund 50% accordingly. (Note: all refunds are subject to 10% administration fee) ​Rates are subject to change without notice.